I was born and raised in Green Bay, Wisconsin. 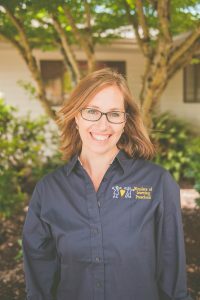 My husband and I moved to Washington in 2006 and have enjoyed getting established within the community while raising our three young children. I am a graduate of the University of Wisconsin, Oshkosh. After successfully owning and operating a licensed childcare, I shifted my focus on children to our home where I am blessed to raise our children in an environment of nurture, love, and spiritual growth. My desire to work with children started at a young age and it has always been a dream of mine to be teacher. I am really looking forward to sharing God’s love and being a part of your child’s educational foundation at Wonders of Learning!